Pan-Asian restaurant Uli has been a Notting Hill staple since 1997. 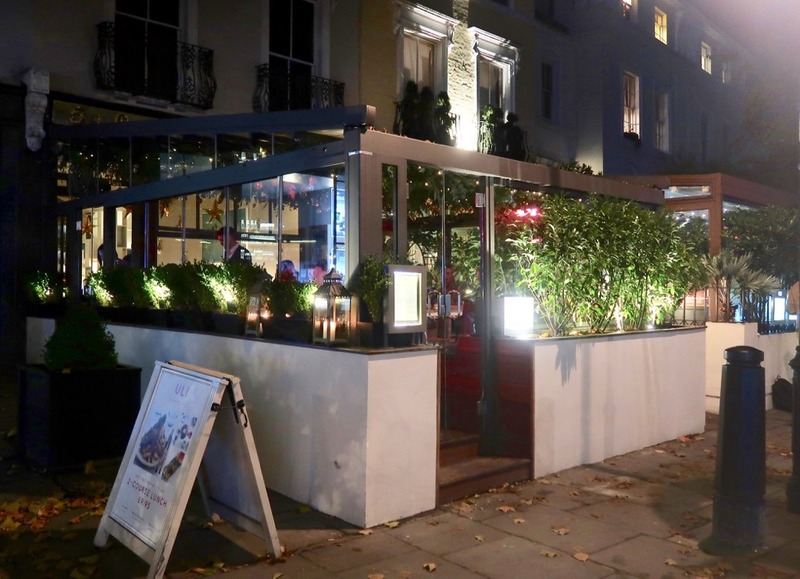 Originally located on the edgy All Saints Road it has recently moved to the more genteel environs of Ladbroke Road just around the corner from the shopping mecca of the Portobello Road as well as being handy for the High Street and tube. We visited on a damp and dark midweek evening and as we approached could see the welcome glow of pendant lights inviting us in to Uli’s attractively verdant terrace. The restaurant was full and buzzing with the sound of well-heeled Notting Hill-ites kicking back and enjoying their evening after a hard day doing whatever it is that Notting Hill-ites do. The interior of Uli Notting Hill is sleek and modern with painted white brick and natural limed oak, potted greenery and contemporary art on the walls. Slightly pre-empting the season it was also decked out with Xmas decorations! 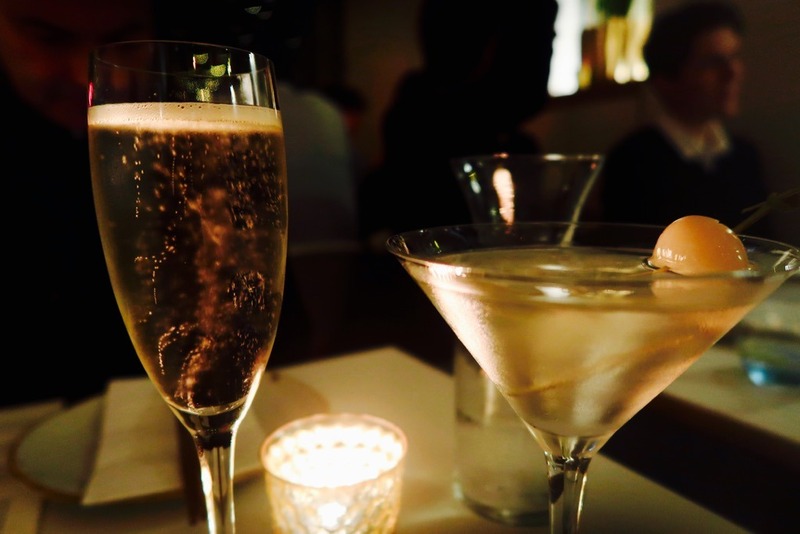 We checked out the menu whilst sinking a gentle and slightly sweet Lychee Martini and a crisp glass of Prosecco. 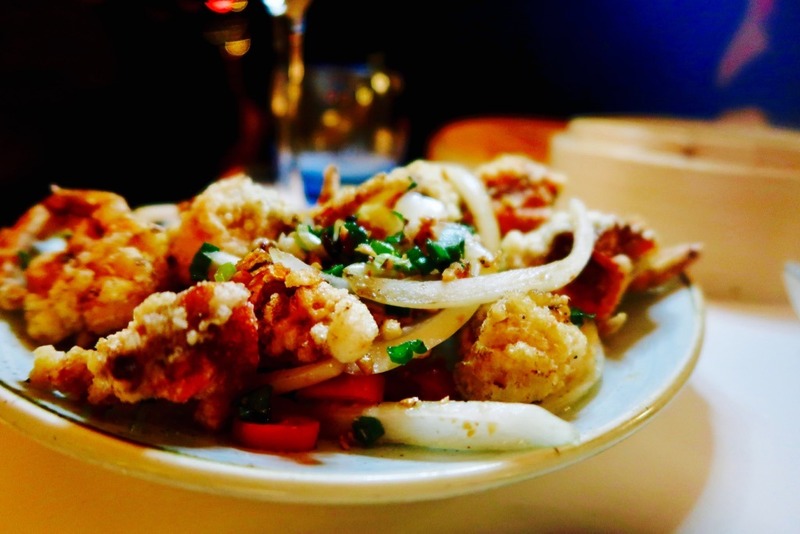 The food at Uli traverses across Asia with featured dishes showing Chinese, Thai, Malay and Singaporean influences. 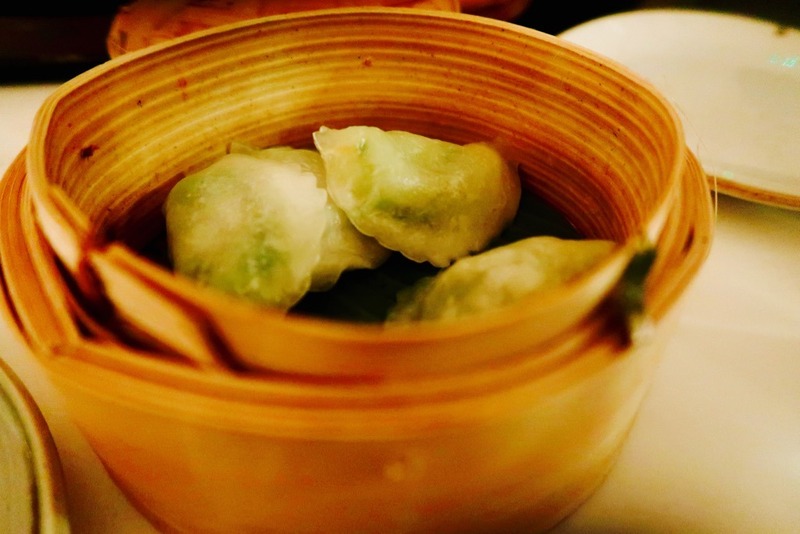 First out of the kitchen from were light and fragrant prawn and chive Dim Sum dumplings. Next up from the Small Bites menu came crunchy sticks of asparagus doused in the wonderful umami flavour of black beans and with a hint ginger adding a bit of spice. Star of the show for me was a dish of deep-fried soft-shell crab in crisp, gluten-free potato flour batter. It’s hard not to destroy the delicate flavour of the crab but the precision of the frying and the beautifully seasoned batter made this a real hit. We had moved on to a bottle of Vermentino Vielles Vignes, IGP Pays d’Oc. It had floral and peach notes that matched the food well – especially the asparagus. 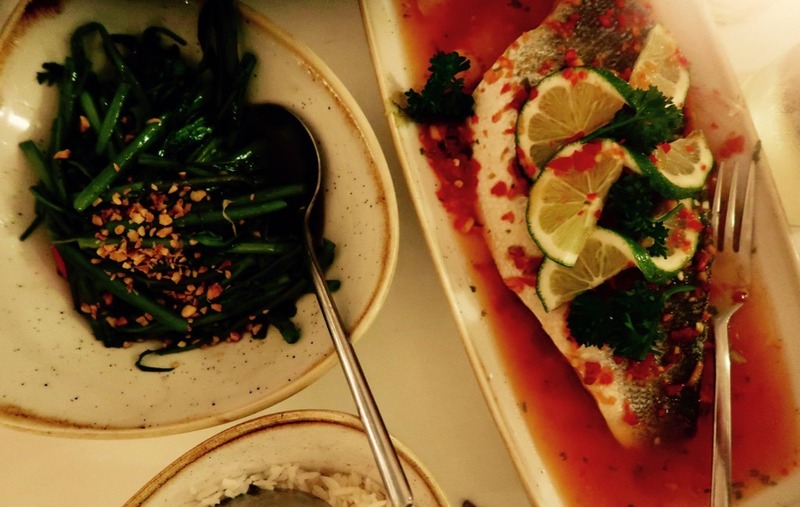 For our main dish, we shared a delicious steamed Thai sea bass fillet perfumed with chilli and lemongrass. It’s a classic Thai combo with the fish really zinging with flavour. Fragrant jasmine rice and some stir-fried morning glory were the perfect accompaniment. Sometimes you just need a dessert and this was one of those evenings. 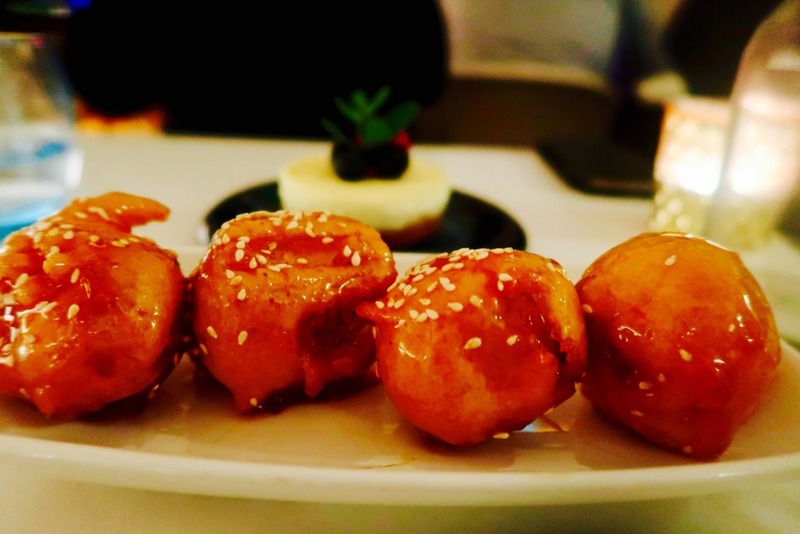 Toffee banana fritters were sweet and hot from the fryer – perfect comfort food – whilst the Yuzu citrus junos cheesecake was a surprisingly sophisticated offering with a light and crumbly biscuit base covered with a delicately restrained topping. 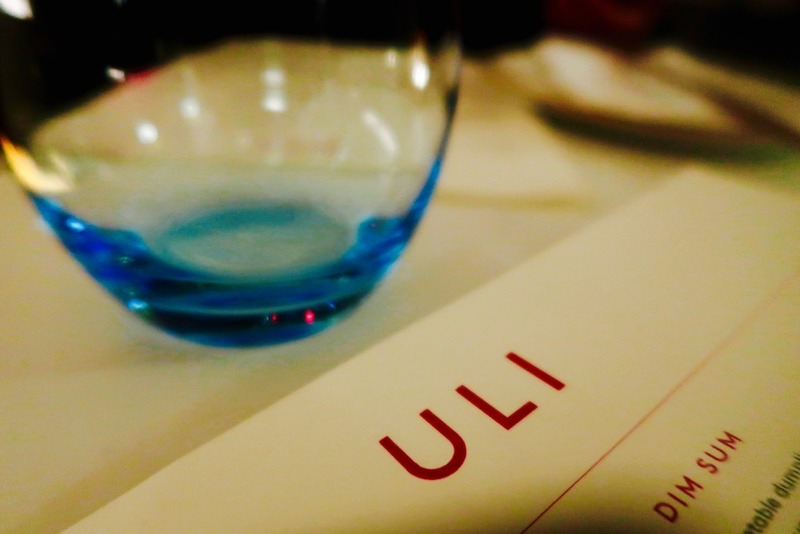 I really like the flexibility of the menu at Uli Notting Hill. 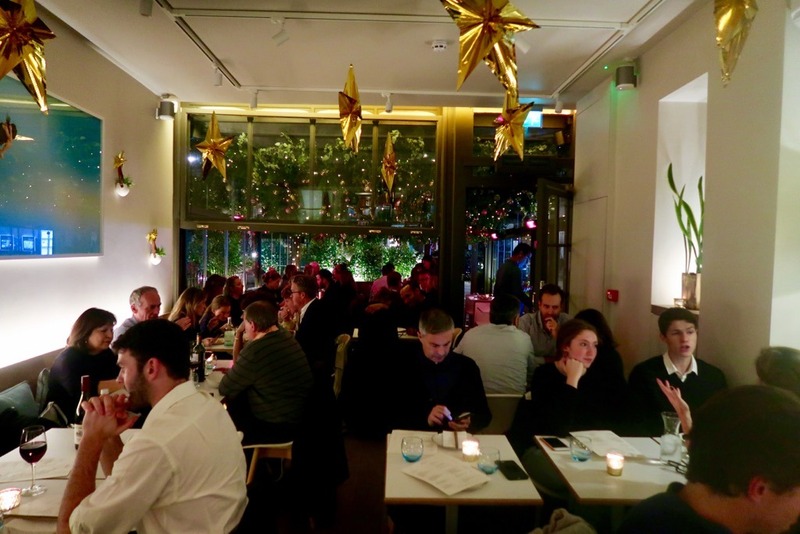 Groups of friends were excitedly exploring and sharing small plates but you could go down a more traditional starter – main – dessert route if you chose. It’s one of those places where the focus is on everything tasting good without obsessing about regionality or absolute authenticity. Combined with friendly informed service and a great space it’s no wonder Uli is so popular with the locals and it’s well worth a visit if you are in the area.